Starbursts III (ex-Nerissa) has been sold as a result of a successful collaboration between the sales team of Bilgin and Monaco-based Thompson Westwood & White (TWW). She is the third megayacht of the yacht owner whose latest yacht was only 35 metre. 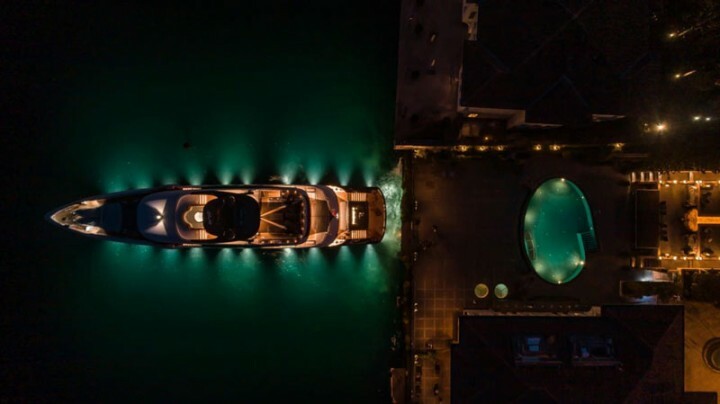 A stylish cocktail party was held by the yacht owner for the Bilgin Yachts team and the close friends in Les Ottoman Hotel of Istanbul just after the delivery. The yacht owner is quite happy with the new decoration of Starbursts III. Except the color of her superstructure, only a few small changes have been made in the yacht's interior living areas. The renewal process took for around two months and the megayat is now ready for summertime. The yacht owner's plan is to spend the summer in Mediterranean while they will also collaborate with TWW in order to do chartering. The yacht's exterior lines are designed by Unique Yacht Design and interior areas by H2 Yacht Design. 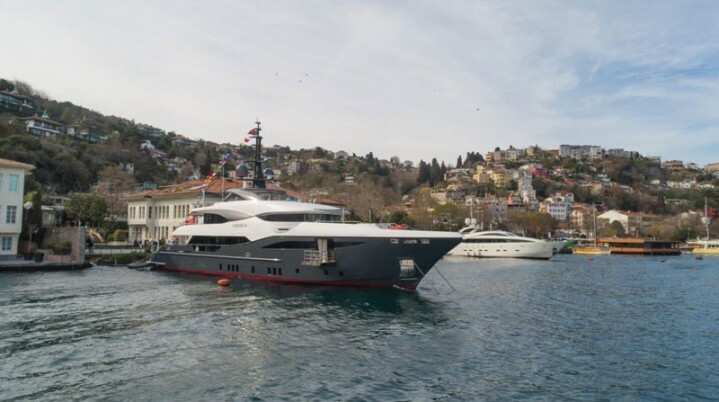 The minor changes made on yacht can be listed as follows: Previously having white exterior, the yacht now has a dark grey color on the exterior which gives her more masculine and dynamic appearance. Apart from the exterior of this five-cabin yacht, the owner preferred to add more copper color on the wall where the main stairs are. While the guest cabins stay same, the main cabin had some new additions like a chair on the bed side and a coffee table accompanything it. The 10-person dining table as well as the lighing in the main living room have also been replaced according to the yacht owner's taste. The interior and general arrangement, created by H2 Yacht Design, are no less impressive, with lotsof sunlight entering from the skylight at the bottom of the jacuzzi, making the middle of the boat shine like a diamond. The main saloon features an additional electronic sliding door and starboard doors which can transform it in to an open saloon, ideal for becoming one with and enjoying the exotic surrounding nature. Starbursts III is fitting with win MTU 12V 2000 diesel engines, which gives her a top speed of 16 knots and a maximum range in excess of 4,000 nautical miles at 12-knot cruising speed. Launched in July 2017 and highle acclaimed ever after, the Bilgin Yacht 156 series continue with the new yacht 48m on spec Lilium which has a similar exterior look, but soft and minimalist lines in the interior. Lilium is planned to have debut in 2019 Monaco Yacht Show.